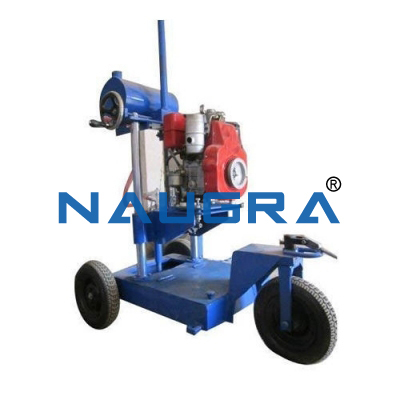 Suitable to Cut / Drill cores of Concrete, Rocks, Stones, Tiles or the similar material. 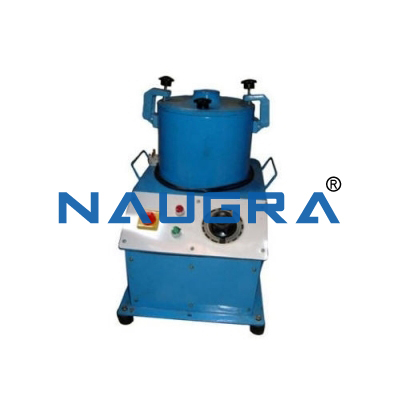 The machine is suitable for core samples of size upto 150mm diameter with the help of thin walled Diamond bits which are at extra cost. 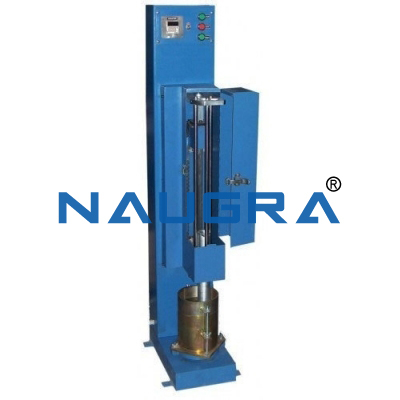 The machine has sturdy base with pillar support in which rack & pinion is provided for adjustment in height and penetration assembly. The levelling screws are provided at the base. For gripping the sample in position suitable grips are provided. 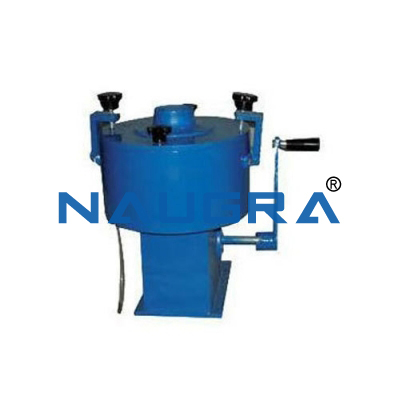 A suitable electric motor, standard make is fitted in the machine with cooling arrangement with water. The base frame is also fitted with wheels for ease of transportation. Drill Speeds : 900 RPM for soft samples and 350RPM for hard samples. Accessories : 1. Thin wall diamond bits 2. Core Barrel. 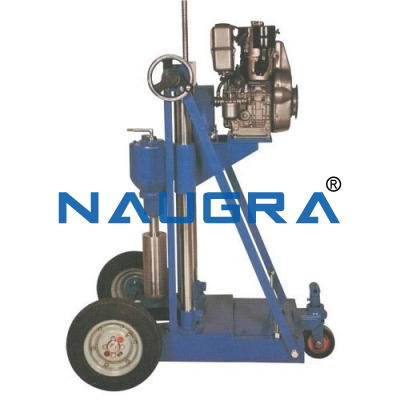 Other Related Teaching Lab Products, Scientific Instruments and Educational Equipments like Core Drilling Machine (Motorised). . .